Traders - What's the Squeeze Play? 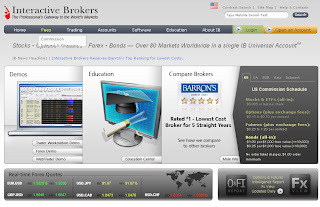 The Interactivebrokers main webpage has a new design. Now how about improving the charts? I've put together a list of posts I find particularly helpful when it comes to trading psychology. - Traders develop plans and trade patterns that simply don't work; they're based on randomness. - 90% don't/can't sustain the process of keeping a substantive journal. Among the group that does journal, well over 90% of the entries are about themselves and their P/L. I almost never see journal entries devoted to figuring out markets. -In every performance field of note--from Olympic athletics to Broadway--performers spend more time in practice than in formal performance. That is how expertise develops. The ratio of "practice" time (time spent on markets outside of trading) to trading time is a worthwhile indicator of a trader's prospective success. -"It's a common observation that traders fail because they don't stick to their plans. My experience is different. Traders develop plans and trade patterns that simply don't work; they're based on randomness. When the patterns don't work, traders become frustrated and abandon their plans. So it looks like lack of discipline causes trading failure. But planning doesn't create success; sound planning does. Sticking to plans based on randomness is no virtue." How do traders enhance there trading skills while the market is closed?